We here at Waggy Walkys know that we have some of the very best Dog Walkers and Pet Sitters in the DMV. 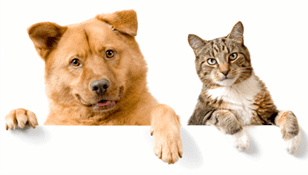 They&apos;re caring, punctual, and always willing to ensure that your pets get quality socialization time, so that when you return home you are assured they have been well taken care of. But what about those wonderful people who go above and beyond to provide the very best care for your furry family members? The ones who have become so important to your pet that they&apos;ve practically joined the family? The ones who leave Christmas and birthday presents for your dog or cat, and call even when they&apos;re on vacation simply because they miss spending time with your pet? We&apos;ve been overwhelmed and touched by the thoughtfulness and care shown by quite a few of our walkers, and wondered how best to acknowledge their efforts. That&apos;s why, starting this month, we&apos;re introducing a Walker of the Month! Each month we&apos;ll be highlighting one special Dog Walker who has demonstrated time and time again that their love and passion for their job knows no bounds. We are thrilled to reveal that Deneise Tan is our first official Walker of the Month! While we debated over quite a number of our fantastic Walkers and Pet Sitters, we chose Deneise as our winner for August because of the sheer amount of positive feedback we&apos;ve received about her. Deneise has been with our company for a year and a half, and she has left a positive impression on everyone she has met – whether they have two legs or four! When we asked her clients how satisfied they were with her job performance, one of her clients replied: "Deneise is an awesome walker. Very punctual, spends the right time with the dogs and is very caring. We love the pics she send us to reassure us that all is fine. Please keep her and do not let her go!!!" Her friendly and upbeat demeanor is one of her most glaringly obvious traits, she is always happy to help out with last minute walks, and she has yet to find a dog she couldn&apos;t get to fall in love with her. Deneise isn&apos;t just a Dog Walker – she&apos;s the best friend to many dogs and cats in the Silver Spring area. Let&apos;s put our paws up for Deneise!